In November 2017, Evergrande Health promised to invest $2 billion into FF. In return, FF was required to give 45 percent of its equity to Evergrande Health. As of May 25, 2018, Evergrande Health had paid $800 million to FF. By July 2018, FF used up the $800 million and asked for $700 million of the remaining $1.2 billion investment in advance. In August, 2018, FF China changed its name to Evergrande FF Intelligent Automotive (China) Co, with a senior executive from China Evergrande Group. On October 3, 2018, FF sued Evergrande Health, hoping to terminate all agreements between the two companies. On December 31, 2018, FF and Evergrande Health agreed to a new restructuring plan, terminated previous agreements. FF withdrew lawsuit against Evergrande. 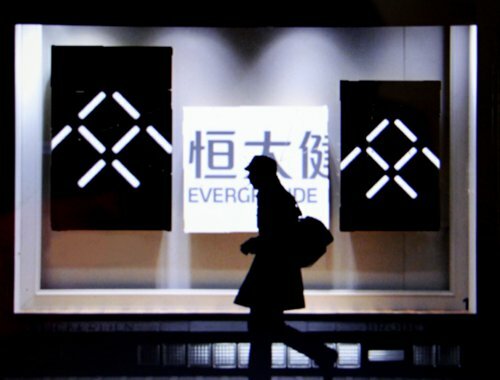 On the last day of 2018, Chinese electronic vehicle startup Faraday Future (FF) finally settled the ongoing dispute with its main investor, Evergrande Health Industry Group (Evergrande Health), a subsidiary of property developer China Evergrande Group. Both companies agreed to transfer Evergrande Health's $800 million investment into 32 percent stake in FF, instead of the previously agreed 45 percent. In addition, Evergrande Health will hold assets of FF in China, but the founder of FF, Jia Yueting, has the option to buy back the 32 percent stake in the next five years. The "love hate story" between FF and Evergrande Health finally comes to an end after numerous twists and turns. In the future, FF will find its own way to move forward - that might be a better choice for Jia and his company. 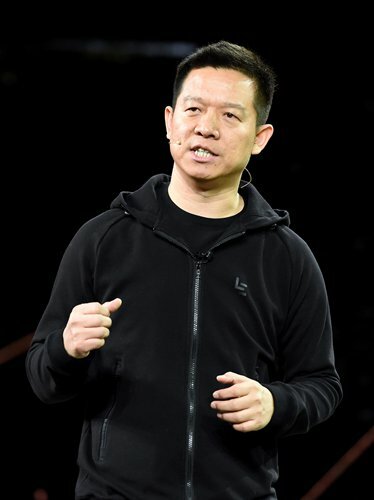 As the founder of Chinese internet company LeEco, Jia suffered from a debt crisis with that business since 2017. Starting up FF in the US in 2014, he saw the new-energy vehicle company as a life-saver for LeEco. "The freezing of my assets was about 40 billion yuan ($5.8 billion) in China. The amount of debt in LeEco reached 20 billion yuan," Jia said, Chinese financial media Prism reported in November 2017. During that time, Jia was seeking external financing for FF in the US. Season Smart, a company wholly owned by Evergrande Health, agreed to invest $2 billion into FF. Evergrande's interest in investing in FF came from its ambition to bring world-class new-energy vehicles to China, Chinese technology media aicaijing reported in January. The report said Evergrande was planning to build five research & development and production bases in China, and was aiming to produce 5 million new-energy cars and to market them globally. As a result, a newly-established company called Smart King became the operational entity of FF - with 45 percent of its equity owned by Evergrande Health, 33 percent owned by Jia's FF Holding and the remaining shares were allocated to FF's stock incentive plan. Even though Jia is the second-largest shareholder of Smart King, he was the CEO of Smart King and therefore held the responsibility for day to day management and the decision-making of FF. Despite being the largest shareholder, Evergrande Health was only supposed to be a 'silent' investor who was not expected to participate in FF's daily operations and management. However, Evergrande Health clearly did not trust Jia completely. The company asked to hold first lien claim of FF's headquarters in Los Angeles as well as be the owner of the intellectual property of the development and manufacture of FF's electronic vehicles. As of May 25, 2018, Evergrande Health had paid $800 million to FF, of which $200 million available to FF's Chinese business operations to build FF's factory in Nansha, South China's Guangdong Province, $100 million was used to repay debts to various suppliers, and another $400 million for the company's future development and the volume production of FF91, FF's first electronic car with an automatic driving function, Prism reported in January. According to the agreement, the remainder of the $1.2 billion was to be paid by installments during 2019. However, the cooperation between the two companies did not proceed as expected. FF had used up the cash by July 2018 and asked for $700 million in advance, TechNode reported. In order to continue their business, another "Amendment and Consent" deal was signed by the two companies: Evergrande Health agreed to pay the $700 million of the remaining $1.2 billion in advance but required more rights over FF's business in China. For example, Evergrande required changing the company's name of FF China to Evergrande FF Intelligent Automotive (China) Co, and appointing a senior executive from Evergrande as the chairman and legal representative of FF China. Moreover, Evergrande Health hoped Jia would "keep a distance" from FF China. In August, 2018, FF China changed its name to Evergrande FF Intelligent Automotive (China) Co, with the senior executive from China Evergrande Group. As a result, Evergrande gained control FF's business in China and its project in Nansha, whilst Jia kept his CEO positions at Smart King. However, everything changed from the end of July, as FF didn't receive the payment of $300 million promised by Evergrande Health. The reason for the failure to make the payment stemmed from Evergrande's increasing suspicion of Jia. The company claimed Jia had been placed on a blacklist in China because of his default on previous debts. Jia called Evergrande's requirement "unfair contract terms," but a person with knowledge of the issue denied the unfair clause to Prism, adding there was no transferring of FF assets at below market price. In September 2018, Smart King decided to seek an alternative investor instead of Evergrande Health. The following month, FF accused Evergrande Health of breaching funding obligations in a Hong Kong court and hoped to terminate the relationship with Evergrande Health. An industry analyst said that "Going through the arbitration procedure requires half a year. If FF did not receive enough alternative financing, it will not only hurt its own self-interest, but also would threaten Evergrande Health's investment value," according to Prism. Jia said many investors around the world had shown great interest in investing in FF, whose ambitions are to surpass Tesla. FF aimed to reach an annual production of 5 million vehicles within 10 years and to develop internet-based intelligent travelling, the company said in its statement in August, 2018. Before Evergrande Health invested in FF, the estimated value of FF was $4.5 billion. However, in a recent A-round financing, FF said its estimated value before investment was $2.45 billion, Prism reported. Evergrande's investment switched to 32 percent preference shares after agreement was reached. Even though the estimated value of FF decreased dramatically, Evergrande still maintains 100 percent ownership of FF Hong Kong. According to Evergrande Health's announcement, the restructuring agreement not only benefits FF's financing and its sustainable development, but also makes FF focus on its core business. FF China will give the land of its factory in Nansha to Evergrande Health; in return, the latter will return all its patents, equipment, trademark and original team to FF, NetEase News reported on January 3. Jia probably sees FF as his last opportunity to make a comeback. He has worked for over 14 hours per day and runs back and forth between conferences, aicaijing reported, "FF is like our baby and it is my life, hence, I will never let it fail," Jia said. Nobody can predict whether electronic vehicle manufacturers like FF can survive, or whether it can overtake Tesla. 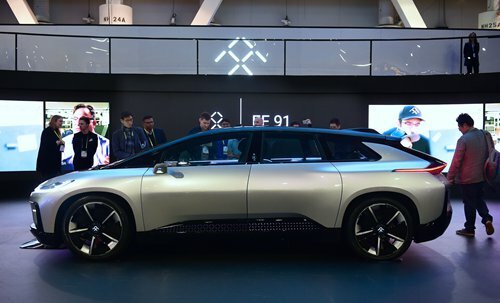 Industry analysts remain sceptical about FF's future and said that even though it could raise new capital, the 2 million yuan price tag of a luxury FF91 made it hard to receive a significant number of orders, according to the aicaijing report. The story is based on a report from Prism on January 2.